Microsaic Systems plc OEM Agreement with Biometrics Technologies Co, Ltd.
Facebook and Instagram one of the worst outages in their history – could it of been avoided? Home » News » AIM News » Microsaic Systems plc OEM Agreement with Biometrics Technologies Co, Ltd.
Microsaic Systems plc (LON: MSYS), the developer of point of need mass spectrometry instruments, has today announced that it has signed an original equipment manufacturer agreement with Biometrics Technologies Co, Ltd for the integration of the Microsaic 4500 MiD® MS detector with BMT’s High Performance Liquid Chromatography equipment, for distribution in Southeast Asia, Korea and India. Established in 2013, BMT is a specialist OEM provider of life science and analytical equipment. BMT designs, develops and integrates high technology scientific instrumentation, with markets in Southeast Asia, Taiwan, Korea, the Middle East, and Oceana. “I am very pleased to partner with BMT to integrate Microsaic’s compact, point of need MS technology, with their HPLC products. The team at BMT has the in-depth technical expertise and this agreement further extends our reach into Asia. “Southeast Asia, India and Korea are attractive growth markets for analytical chemistry, and this marks another milestone in what we expect to be a very exciting period of growth. Microsaic now has five distribution and four OEM agreements signed, opening markets for our products in North America, Europe, China, Taiwan, Southeast Asia, Korea and India. 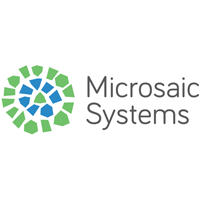 Recently, Microsaic Systems plc published its annual results for the year ending 2018, which showed a year on year doubling of unit sales, and with revenues up 69%. 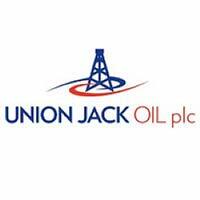 The Board believes that 2019 will be a year of significant growth in revenues, driven by the globally diverse partnerships signed in 2018, and the continued business development with new partners during 2019. Click MSYS for the full archive.